US State Department staffers have been instructed to seek cuts in excess of 50 percent in U.S. funding for U.N. programs, signaling an unprecedented retreat by President Donald Trump’s administration from international operations that keep the peace, provide vaccines for children, monitor rogue nuclear weapons programs, and promote peace talks from Syria to Yemen, according to three sources. It remains unclear whether the full extent of the steeper U.N. cuts will be reflected in the 2018 budget, which will be prepared by the White House Office of Management and Budget, or whether, as Secretary of State Rex Tillerson has proposed, the cuts would be phased in over the coming three years. One official close to the Trump administration said Tillerson has been given flexibility to decide how the cuts would be distributed. 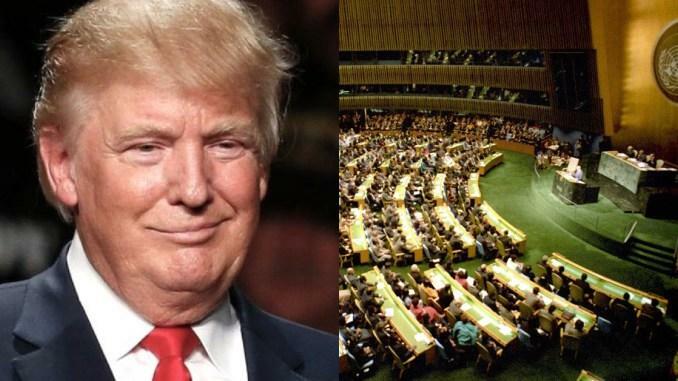 On March 9 in New York, U.S. diplomats in a closed-door meeting warned key U.N. members, including wealthy donors from Europe, Japan, and South Korea, to “expect a big financial constraint” on U.S. spending at the United Nations, said one European diplomat. “There are rumors of big cuts to the State Department budget, but again, on our side, no figures,” the diplomat said. The cuts would fall heaviest on U.N. programs, like peacekeeping, UNICEF, and the U.N. Development Programme, that are funded out of the budget of the State Department’s Bureau of International Organization Affairs. It remains to be seen whether other U.N. agencies popular with Congress, like the World Food Programme and U.N. refugee operations — which are funded out of separate accounts in the U.S. Department of Agriculture and the State Department, respectively — will get hit as hard. But one source tracking the budget proposal said the Trump administration is considering cuts of up to 36 percent on humanitarian aid programs.